Journalism can be like searching for pieces of a jigsaw puzzle widely scattered by those wanting to hide the truth. In that context, former Public Protector Thuli Madonsela’s 355 page report on State Capture is like being handed the box with every piece in a complicated puzzle. Even at first take it shows how the Gupta brothers are far from the business geniuses they portray themselves. True, they did amass billions in a couple decades since arriving in their mid-20s from the dusty town of Saharanpur in Northern India. But they did so in a way that always destined their empire would implode. The report shows there is nothing subtle or complicated about their modus operandi. But what they lacked in sophistication they made up for in single minded avarice. Using lies, deceit, bribery, blackmail and expensive spin-doctoring guns-for-hire as crude weapons to keep the money machine turning. In our interview this morning, political and business insider Dominic Ntsele says the Guptas got away with their pillaging for so long only because of “a conspiracy of silence”. A conspiracy which reached onto the highest floors of the ANC’s Luthuli House headquarters where its own investigation shamefully found no evidence of what is now so obvious to everyone. Even now after civil society has erupted, some within this corrupted political party see dispatching the Zuptas as an opportunity for their own snouting. They are delusional. The corruption genie is well and truly out the bottle. There is no putting it back in. Rent-seekers have been exposed for the cancer they are. Civil society and the judiciary will be even more vigilant in future. 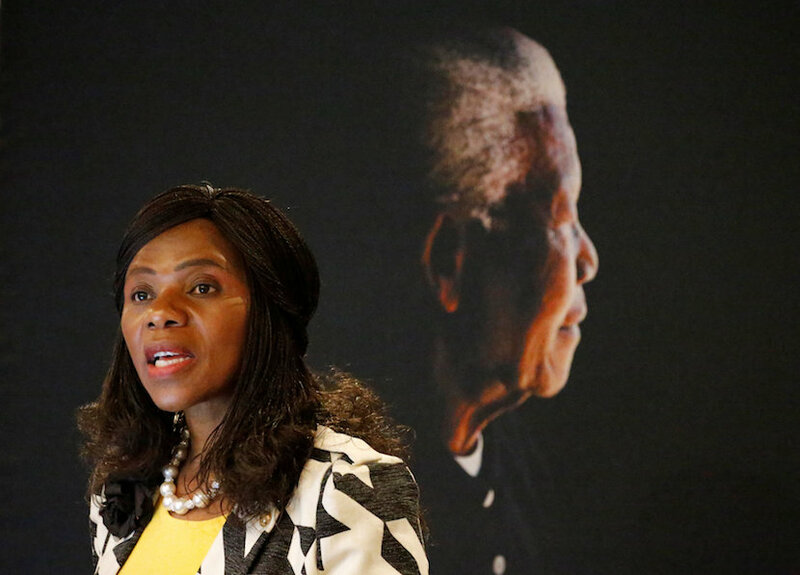 Madonsela’s Masterpiece exposes the gory details for all to see. In short, the Guptas acquired control of President Jacob Zuma. And then fed a network of patronage which reciprocated by providing them a free hand to appoint the top managers at State Owned Enterprises, each of whom repaid their generosity. After coming up against some political obstacles, the Guptas “interviewed” and then appointed maleable successors like their lapdog, Mining Minister Mosebenzi Zwane. The boldest step of all was December’s attempted takeover of the National Treasury no less, through the appointment of backbencher Des van Rooyen to replace Finance Minister Nhlanhla Nene and his two well-briefed “Gupta boys” – one of whom is the son-in-law of ANC Top Six member Jessie Duarte. With Zuma and key cabinet members in their pocket, the Guptas believed themselves to be above the law. Madonsela’s report is meticulous in detailing how their actions broke the Constitution, various Acts of Parliament and, through fraud, even SA criminal law. The report calls for the immediate creation of a commission of inquiry headed by a judge “solely selected by the Chief Justice” – not by the President and, tellingly, not Madonsela’s successor as Public Protector. Madonsela clearly believes there is no other way to address South Africa’s equivalent of the Brazilian “carwash” scandal which only started unravelling when the judiciary began taking control. As in Brazil, this has been plunder of national resources on a grand scale. Supported by blatant and often ridiculous lies. Aided and abetted by those holding the highest political office. Over recent years the Guptas responded to growing murmurs by trying to brazen it out; then using high paid London lawyers to threaten the more forthright commentators; and of late have resorted to pumping out falsehoods through imaginatively named organisations they created in the belief that if you tell enough lies, the public actually starts believing them. Their final ploy was getting their puppets Zwane, Van Rooyen and Zuma to demean themselves even further by launching ill-conceived interdicts to stop the Public Protector’s report from being put into the public arena. 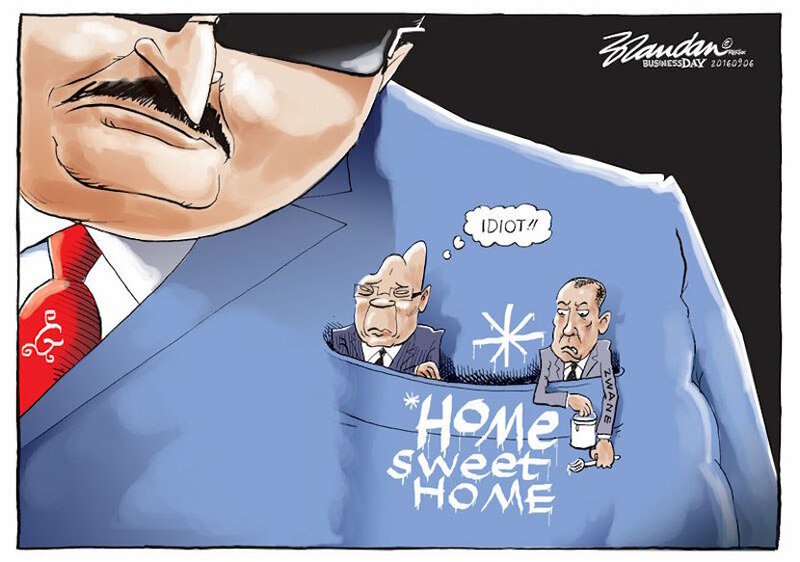 If South Africa had a functioning Police Service, the Guptas would be behind bars tonight. 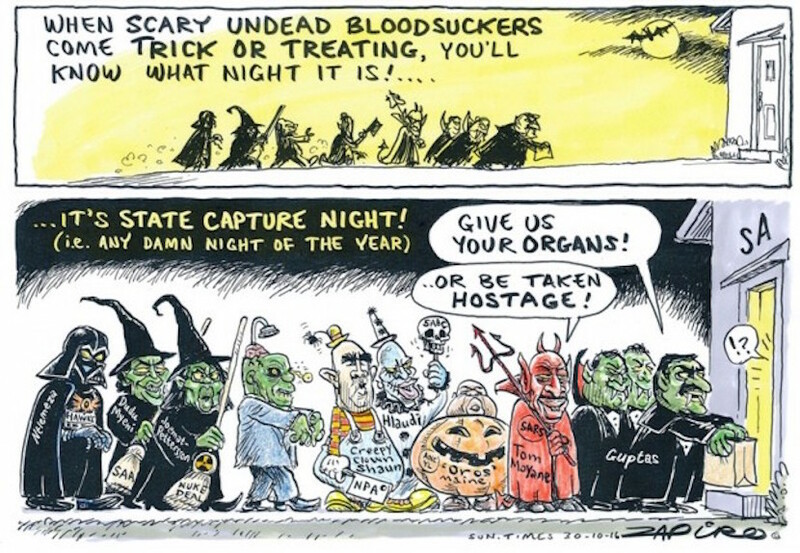 Ditto their partners-in-plunder at various State Owned Enterprises. That may still happen as it has with Brazil’s Operation Carwash. With this report now public, the tide has very obviously turned and many of the laws that have been broken carry stiff jail sentences. That is cause for celebration. But what the past week has shown most of all, is that South Africa’s centre has held. It has absorbed the very worst that forces of darkness could throw at it. The young Constitutional Democracy has come through the fire. It has been tested and its people have been not been found wanting.